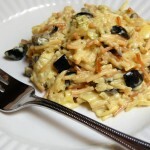 Rice, vermicelli pasta, artichokes hearts, black olives and green onions, tossed in a curry mayo dressing. Drain artichokes, saving liquid, and chop. 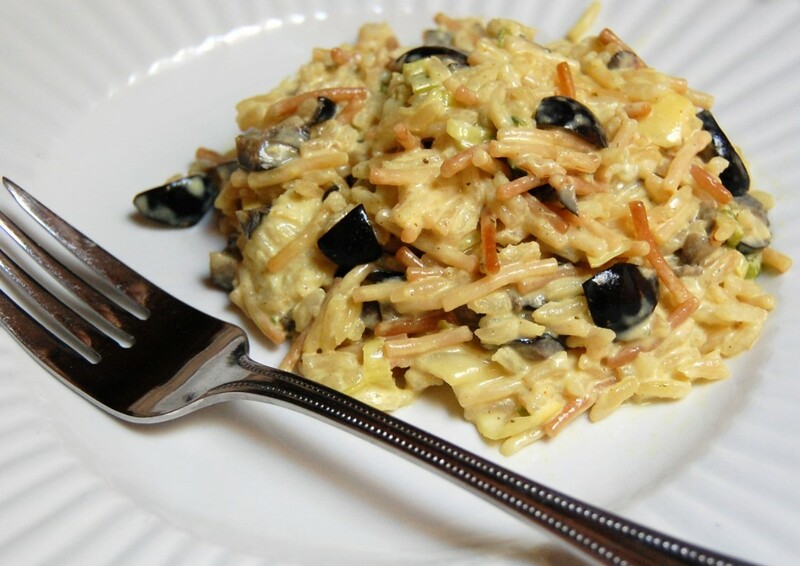 While rice is still warm, add artichokes, olives and green onions. In a separate bowl, whisk mayonnaise, artichoke liquid and curry powder, blend well. Stir into rice mixture. Serve immediately or chill. Cook's Note: This would also make a wonderful main dish, simply add 1 cup shrimp, crab or chicken.